Businesses abound between the TSA line and the departure gate. Restaurants attract hungry passengers who skipped a meal to arrive early; souvenir stands have one last chance to sell you a sweater with the name of the city; duty free shops peddle sugar water to idle travelers; and Boingo wifi charges more per minute than Disney World. The more time that a passenger spends in the airport waiting, the more likely that passenger will buy something. Demand for travel puts an upper limit on the number of flights departing an airport on any given day, but airports can increase their occupancy simply by asking passengers to spend more time at the airport before departure. If the average passenger arrives 45 minutes ahead of her scheduled flight and the average time needed to get from the airport entrance to the gate is 30 minutes, then she waits on average 15 minutes at the airport. On the other hand, if the average passenger arrives 90 minutes early, then she waits 60 minutes—four times as long. This increases the average occupancy at the airport by four times as well. The average revenue for a business at the airport will therefore increase by nearly four times, even accounting for some front-loading of business during a passenger’s stay. Gross margins could increase by nearly six times. Simply by asking passengers to arrive an extra 45 minutes early, an airline can increase the airport businesses’ revenue by nearly four times. So why would this matter to an airline? McDonald’s profits certainly aren’t flowing to American Airlines. However, airlines do pay to use the airport, either through capital expenditures or leases. 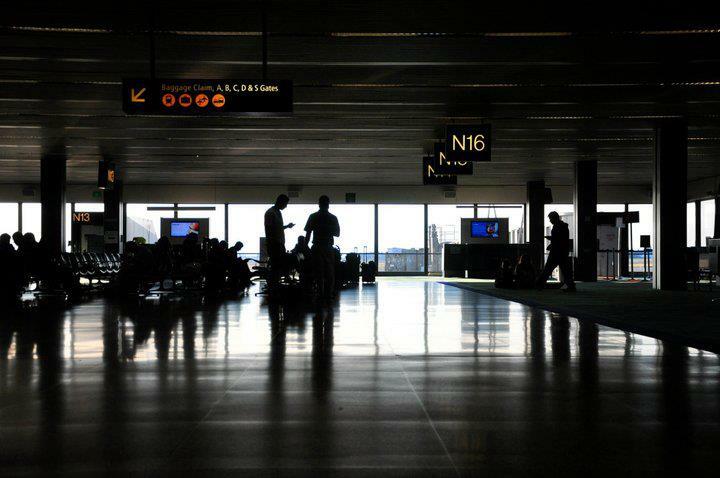 When an airport can extract more money from a Sunglass Hut or a Haagen-Dazs strategically positioned to tempt bored passengers, the airport will have a wider zone of possible agreement in negotiating with airlines. Airports have evolved to hold enough early arrivers. Tables at Chili’s and Margaritaville fill quickly. Not only do airlines ask passengers to spend more time in the airport, but also flights have been scheduled near meal times to increase restaurant activity. Unfortunately for passengers, the time it takes to get from the airport entrance to the departure gate can be highly unpredictable. Even if the average time required is 30 minutes, a standard deviation of 10 minutes would recommend arriving 50 minutes early to avoid missing fewer than 5% of flights. The higher the unpredictability, the earlier the passenger must arrive. With TSA requirements and airline policies becoming more complicated, airports and airlines can only expect greater profits.